Cashew nuts chopped into small pieces. 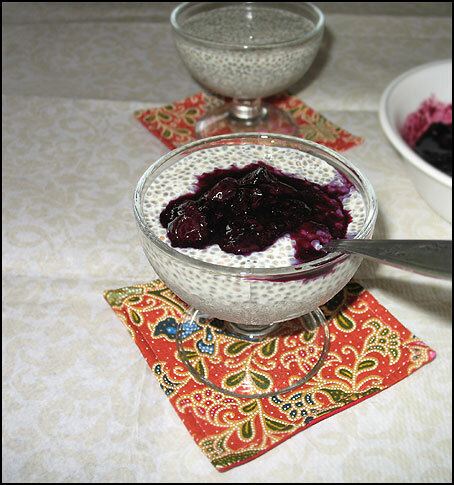 To serve, add Chia seed pudding to serving bowls and spoon blueberry sauce over the pudding. You can serve the pudding with other sauces as well such as strawberry, raspberry etc.